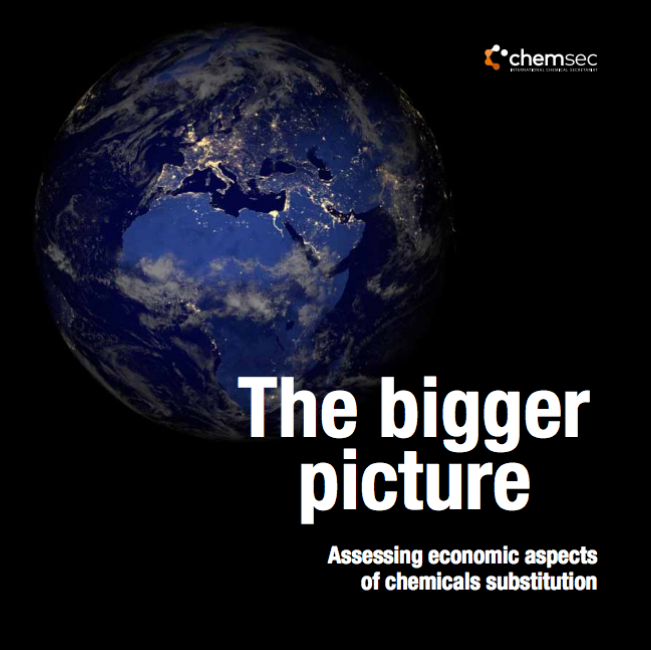 “The bigger picture” is the newest report by Chemsec including a number of innovative companies such as Paxymer, Apple, Skanska and Organoclick. It looks at substitution through case studies. The report shows the true benefits and costs of substitution. The conclusion is clear: benefits outweigh the costs of new sustainable products. The non-profit organisation Chemsec published a report on February 23rd called “The bigger picture”. The report summarizes a number of case studies with the clear conclusion – there is more bustling innovation within the chemicals sector focused on greening chemistry than ever before. The report shows the clear benefits of innovation. Instead of focusing on laggard companies that will not embrace new technology legislators could just as well focus on the business opportunity grasped by forward thinking companies. Leaving kilo-by-kilo comparisons of price and instead consider the bigger picture will enable customers to capture new values and push innovative, progressive products to market that will improve sustainability and eliminate hazardous chemicals in a number of products. Paxymer is one of the companies that has shared information in the case study. Skanska, Organoclick, Mattel, Apple are others that participate. Click the below links for the Chemsec press release and to read the full report.